They say “two is company and three is a crowd” and there are times when that can feel quite true. Growing up as an only child, it was easy at times to feel odd one out, or conversely to lend allegiance to one or the other parent: a triangulation of emotions. Envy of those with siblings, bouncing around them like puppies, was not uncommon and yet, once accustomed to, a change in the sibling status would have been a shock to the system, however much wished for or welcomed. On reflection it seems that the number three was destined to play a significant role in my life. Throughout high school I had two best girlfriends to share the highs and lows of those teenaged years in an all-girls school. Different tertiary paths eroded the friendship but two of us remained, and a new one was added –the boyfriend, now husband. Broader friendships were formed but at the core those two. Then over the years we were to have three daughters to brighten our lives and keep us on our toes. The three sisters in front of the rock formation in the Blue Mountains called the Three Sisters. Now we have three grandchildren, delightful all, with the gender distribution changed to two boys and a girl. Isn’t it strange how “fate” follows you around, and in my case, three has been a recurring theme. Comparing these photos with the Sepia Saturday one, it struck me that in mine, the balance is different: the youngest has centre place in every one with the older family members providing a protective barrier. Why not have a look at what other Sepians have had to say about threes. 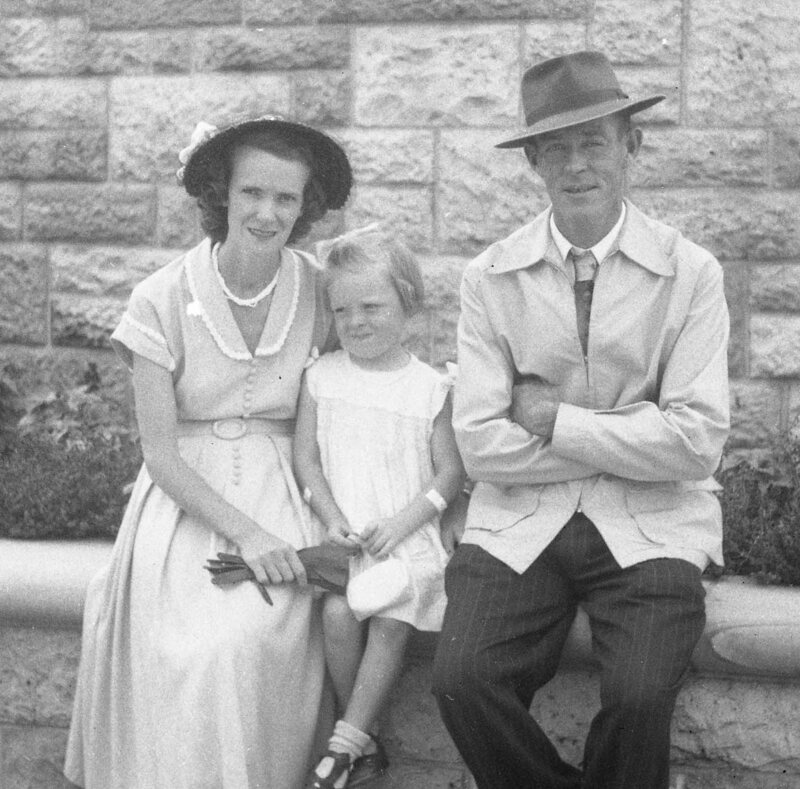 This entry was posted in Cass family history, Family History, Kunkel Family History, Sepia Saturday and tagged Sepia Saturday by cassmob. Bookmark the permalink. Thanks Boobook….it wasn’t until I started writing that I realised just how much it did. A good play on the number theme. What a wonderful photo of you three sitting in the hills. The final part of your post made me wonder if the two women were protecting the man in the prompt, I don’t think so. Thanks Kristin, yes I like that one too, including the distressed face. In the feature image I suspect the man is supposed to be the centre of attention but I think it fails on that count because the women are quite dominant. All lovely threesomes. Is three your lucky number? It always pleases me to read of a family and see the pictures. Good post. I like that second one where you are flanked by your folks, but you don’t look too happy about it. Very nice photos! Thanks Kat, I couldn’t quite work out myself whether I was unhappy or smug -hard to read. Yes, can relate to the three-some of friends and being on of 3 siblings- eg 3 daughters. -so we are not the only ones re: “the 3 sisters” in the blue mountains! – G,K,M. I hadn’t thought of this before, but I have some of my childhood photos that are threes. I have two sisters who are twins a few years younger than I am. I can imagine if there were only three of you, and two were twins, you’d have often found yourself on the outer postcardy….or perhaps I’m projecting. Very special photos of you and your parents and an interesting analogy of the number three and how it has had such an impact on your life. I’m the Mom of an only child, and he rather liked it that way….as long as he lots of cousins to play with. He’s now the Dad of four and I rather like it that way…four’s a good number, too. Yes Sue, four is one of my favourites too. I think that the issue of only-child-dom has changed over the years as it’s become less unusual. My granddaughter is an only child and adores her cousins with whom she has a kind of sibling relationship. But you have such a great crowd of family to include Joan 😉 Be grateful there’s no singing..my Dad was totally tone deaf, as well as stone deaf. Lovely photos. sound like this week would be a good time for a Tattslotto ticket using all combinations of three ! You’ve made me think I should be giving three more prominence in the luck dept, Boundforoz. 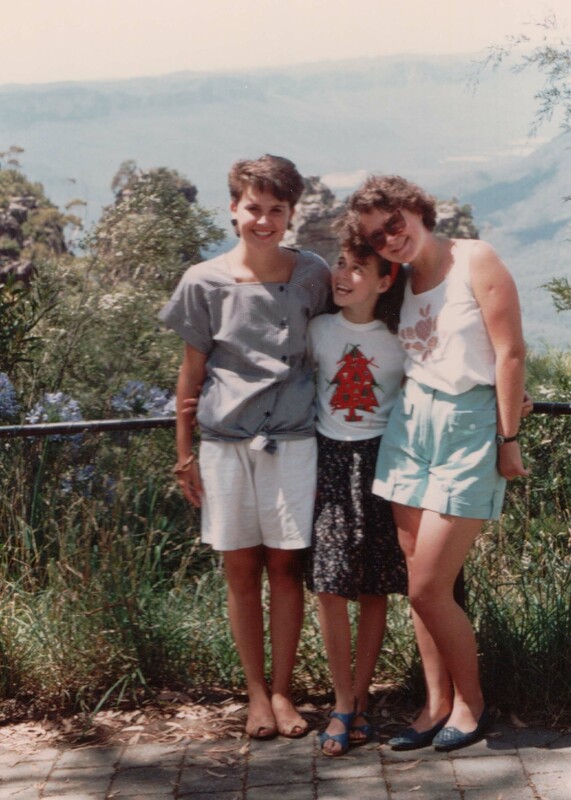 I’ve been there … the Three Sisters, I mean. It’s a spectacular spot, gluepot with the mountains in the background. Wow, you are lucky to have these, marvelous family photos! Yes I think so too Karen. I was unable to follow the rule of three as well as I would have liked and definitely couldn’t have matched your fine selection. The opening of your post made a nice companion to CollectinTexasGal Sue’s post. Like you, I always enjoy those moments of self-discovery while putting together a post. It is gratifying (and a relief!!) after struggling with what feels like a boring do-nothing topic to have that breakthrough that elevates a germ of an idea into a pretty good post that I’m not embarrassed about. Too true, Wendy, sometimes it’s just not clear how the post will come together, even with that germ of an idea. It can be tricky indeed. All the trios make delightful pictures and you’re quite right, there is an element of protective enclosing. Thanks Little Nell…I thought Deb Gould’s comment was enlightening about the protective enclosing wrt drawing the eye in. There’s a concept of “three” in graphic design — it spills out into things like gardening (plant things in groups of three) — it’s all about drawing the eye into the space…your photos show that distinctly! Thanks Deb- this was an “aha” moment – I had assumed that once you went beyond three the image starts to get crowded. As you say, the concept works and it’s an idea I won’t forget both in photography and gardening. 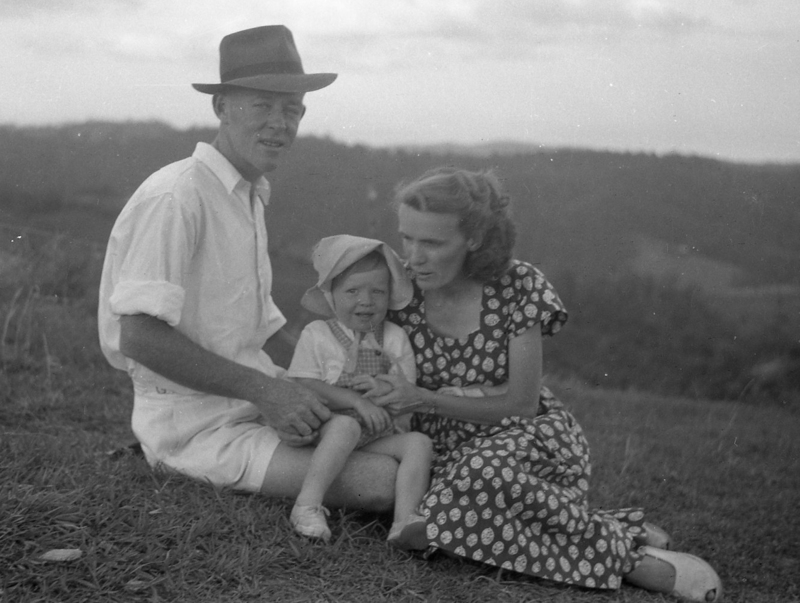 Three lovely happy snaps illustrate your story so well.